Fleetio offers fleet maintenance solutions that enable users to track and analyze their operations. Its features include fuel tracking, inventory and work order management, reporting, and more. 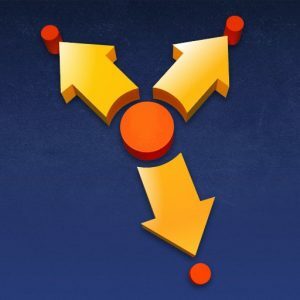 In this article, we covered user reviews and pricing. Ready to try Fleetio? Get a free trial. Users who gave Fleetio a positive review said that it streamlines fleet management tasks through its overall customizability along with inventory, maintenance, and work order monitoring capabilities. They also commended the customer support team for a seamless onboarding process. One user who gave Fleetio a positive review on Capterra said that the mobile app allows him to easily inspect vehicles and attach supporting documents, such as photos. He also said that its customizability enables him to set different authorization levels on specific functionalities for drivers, technicians, and administrators. Users who gave Fleetio a negative review suggested improvements on its fuel card integration, as well as adjustments on its pricing. They also complained about stability issues while using the software. One user who gave Fleetio a negative review on Capterra complained that its fuel card integration is only available for users from the US and Canada. He said that improvements on this will enable him to track fuel payments more accurately. Fleetio offers two paid subscription plans: Pro Plan ($4/asset per month) and Advanced Plan ($6/asset per month). The main difference between the plans is access to premium features such as work order and parts management, inventory tracking, Fleetio Parts mobile app, and purchase order monitoring. An asset is a vehicle registered under a user’s Fleetio account. Fleetio subscription provides fleet management solutions to an unlimited number of users. Ready to try Fleetio? Get a free trial. Aside from the registered user, who else can view the fleet information from the Fleetio platform? Fleetio allows the user’s co-workers and outside vendors to review fleet data, update information, generate reports, receive notifications, and more. How does Fleetio help users track fuel consumption? Fleetio allows users to monitor and compare fuel economy across all vehicles that are registered under their account. It can also automatically import fuel transaction data. Not sure if Fleetio is the right fit for you? Read our reviews of all top fleet management software or check out one of these three Fleetio competitors. 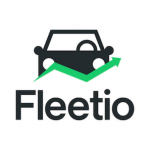 Fleetio is an amazing software if you need to keep track of vehicles and maintenance. Because it’s designated specifically for fleet management it is catered to being on the go when issues tend to happen. The app and website are both intuitive and easy to operate. The ability to assign tasks, updated maintenance records, and upload photos is extremely helpful. I highly recommend the app for anyone needing to keep tabs on vehicle maintenance. The cost was the only drawback to the software. Because you pay per asset, the more vehicles you have, the more expensive the software is. If it could be a flat rate software I think it would inspire more people to utilize it because it is so good. Fleetio helped us to understand our need to be better organized and stay on top of our vehicle maintenance and upkeep. It’s easy to use and allows me to add users as I need with different permissions which is great for staff and volunteers alike. I can’t say there was anything specific I wish I had known before using the software, but I’m thankful for the insight it gave me into what I could be doing better.